The Como Silk Museum is the only museum in the world able to show the visitor the entire production process, from silkworm to colourful yarns, from hand printing to fashion collections. 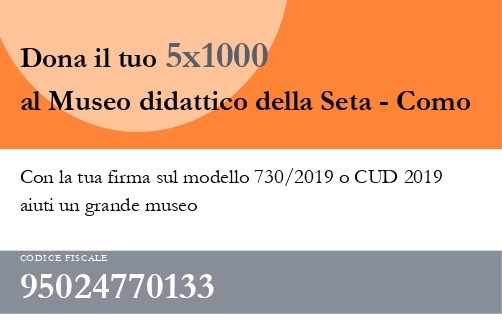 The Museum collects, treasures, displays machines, objects, documents, samples and instruments witnessing the glorious past of the textile industry that still nowadays rewards Como as the “City of Silk”. The love and passion for silk have ancient origins, and nowadays, this technical and artistic heritage is organized in an educational area open to everybody. 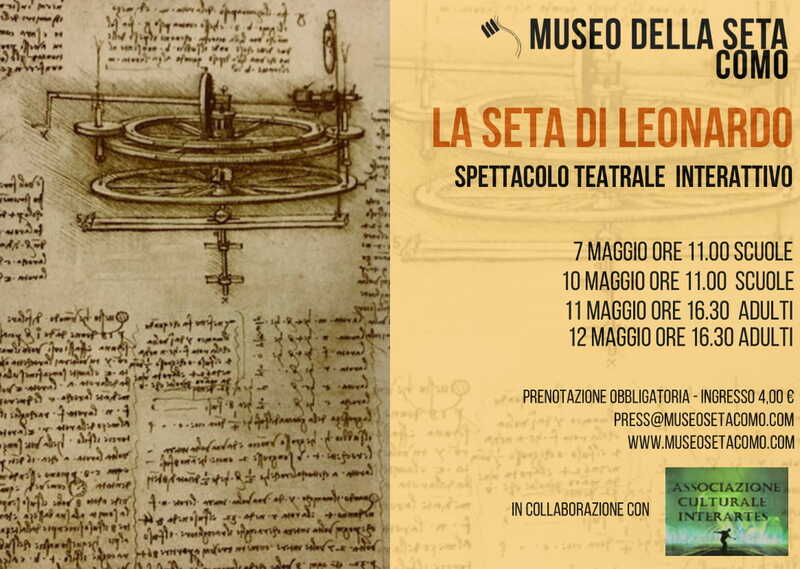 In the fifth anniversary of his deathremembering the genius of Leonardoadults and students at the Silk Museum! Merry Easter! The Museum will close on Sunday and Monday Easter, Thursday 25 April and Wednesday 1 May. We wait for you: come and visit our Museum and Manlio Rho exhibition!